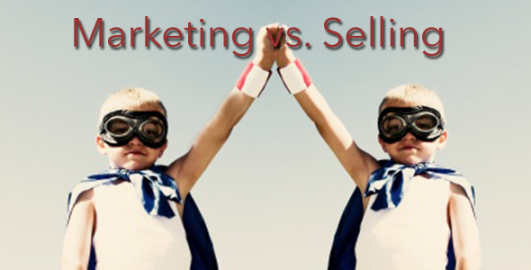 In this article we will discuss about Difference between Marketing and Sales with its comparison. Marketing refers to that process of an organization by which individuals and groups obtains what they wants, need and helps organization to provides product service to their customer by offering them. Marketers work hard to discover the needs and want of customers and try to fulfill their needs and wants by offering their different products at different reasonable price. Selling is just a part of Marketing which involves sale of goods and services to the customers/buyers through advertisement, salesman and promotion and in selling process product is converted into cash. It is a long term relationship with customers at one time. The main objective of selling is to maximize the profit and sale. It starts after production and ends with the sale product. 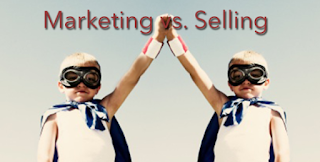 Difference between Marketing and Selling with comparison. Meaning Selling is just a part of Marketing which involves sale of goods and services to the customers/buyers through advertisement, salesman and promotion and in selling process product is converted into cash. Marketing refers to that process of an organization by which individuals and groups obtains what they wants, need and helps organization to provides product service to their customer by offering them. Objective Maximization of profit Earning profit and customer satisfaction. Demand Demand is basically assumed in selling Demand maximize according to customer need. Starts and end Started after production and ends with sale of product Starts after production and continuous after sale. So we will discuss about Difference between Marketing and Sales with its comparison, for any query comment below.